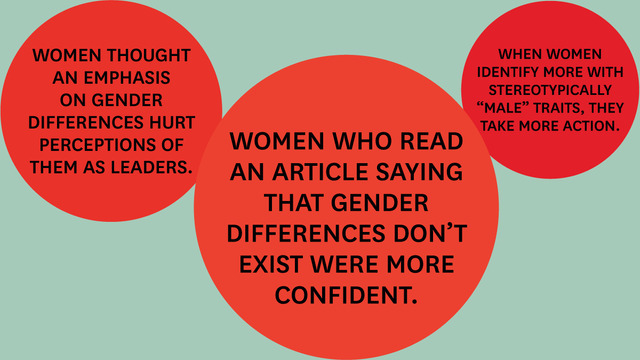 Very interesting article on how downplaying gender differences – as opposed to celebrating women’s distinctive qualities – made women more confident, more comfortable disagreeing with others and willing to take more risks. Gender blindness, obviously, is the opposite, but it doesn’t actually mean ignoring differences. It means deemphasizing them, seeing them as less important than other factors. It’s about focusing on similarities but also about individuality: what makes someone unique as a person rather than what makes someone different as a woman.